It is almost shocking to read these verses and realize that “men” were not content to run God out of His own house, but were seeking to destroy Him all together so they could completely take over. 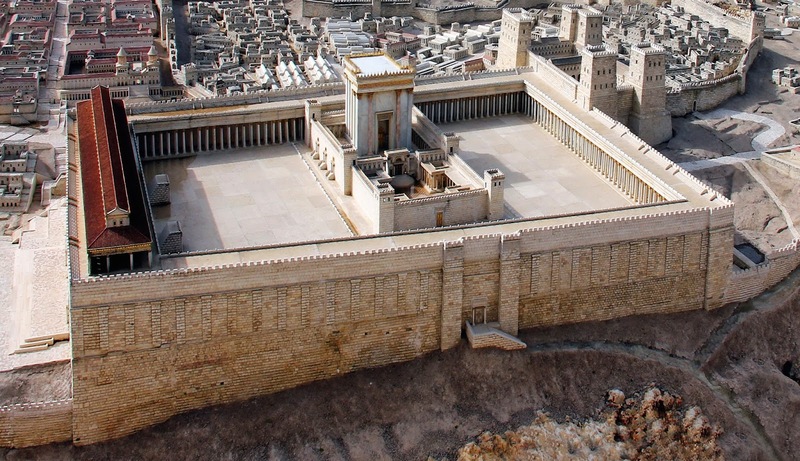 The Temple was “a house of God” and as such was intended to be a place where Heaven touched earth. These demonized chief priests and scribes joined forces and remodeled it after their own lusts. Out with prayer and in with profits! Jesus wouldn’t stand for it. What should have been a place where people could reach God — was now a place where men could reach their own ambitions. I sometimes wonder what would happen if the Lord Jesus really showed up to some of the meetings that purport to have a great presence of God. Would He come with a whip in His hand? Would He overthrow many of the things that Christians have come to expect in a church meeting? “Jesus deserves our best” is the standard cop out for dealing with all things that people don’t because they don’t meet “mens'” standards. Do you really think that Jesus cared about that flickering light bulb enough to embarrass the sound and light crew like that? People are dying in North Korea for the faith, and here is an evangelist acting out over a flickering light. Hmmm. Flickering light. Now there is a sermon title. Perhaps what was happening over the evangelists head was merely a metaphor for the ministry he was operating. Light one second and dark the next. If Jesus deserves our best, why does He seem to choose the weak things to confound the mighty? Why did He use Paul, who was rejected of the Greeks because his bodily presence was weak and his speech contemptible? Do we really think that Jesus wants our polish? Does His presence leave if the piano player plays a bad note or the singer is off key? Obviously, Jesus wants a heart that is right towards Him, not a polished performance. That is for man — not God. Let’s keep that straight. It is utter foolishness to suggest that God wants what man wants. His ways are not our ways, and His thoughts are not our thoughts. If what we are calling “a house of God” is really for God, why is so much stuff done for man? Would we decorate our churches like we do if the people coming were blind? Would we focus as much energy on getting the sound right if the people were all deaf. Just asking. Be honest. These things are done, generally, for men and not God. I believe God is pleased by people whose heart is right towards Him — not all the aesthetics. God wants to hear from a pure heart — man wants to hear a pure voice. Man wants a professional production — thinking somehow that “professionalism” contributes anything to God or the churches. It does not. Why not make God’s house a place where He feels comfortable? Why not let it be a house of prayer? Why not let God be God in His own house. Why try to design everything around man and then pretend were doing it for God? We don’t even look at the same things God is looking at. My house is the house of prayer: but ye have made it a ________ (fill in the blank). Otherwise, lets just start calling it what it is, “The House of Man.” This Sunday Morning were all going to meet at the house of man. Sound repulsive? How do you suspect the Lord Jesus feels when people gather “in His name” but do most everything to please themselves. It is worth noting that in Luke 19 Jesus was saying the place was His Father’s house, but by the time we reach Matthew 28:38 we read; “Behold, your house is left unto you desolate.” You see that? your house. Not God’s house, but your house is left unto you desolate. By the end not even God would claim the place. This is what happens when men pretend to be serving God but have fabricated a means of pleasing themselves in His name.